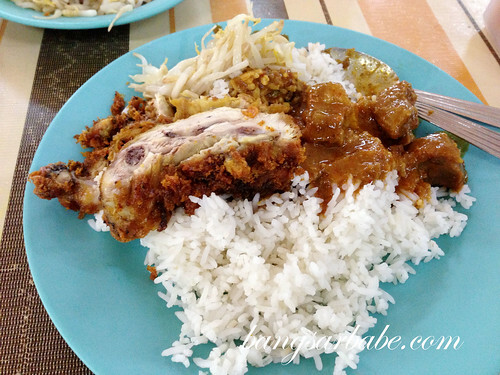 I’m not that huge a fan of rice, but am always in the mood for a good plate of nasi kandar. 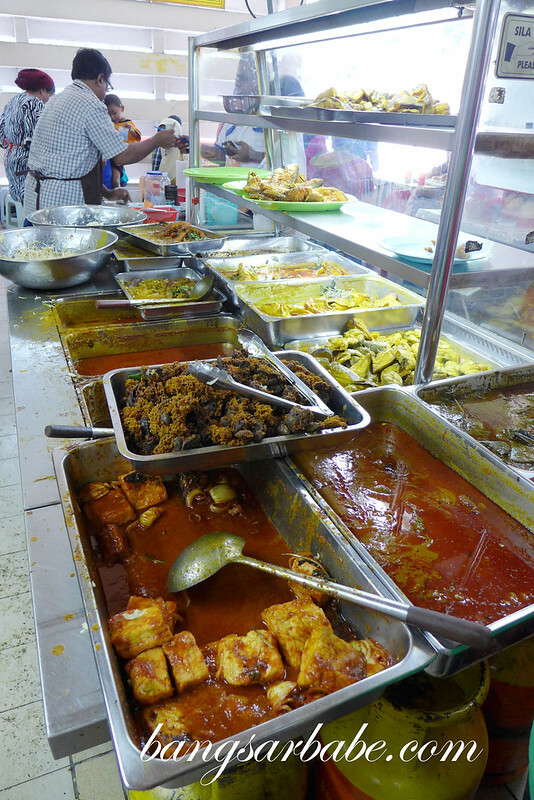 I used to patronize the two popular nasi kandar restaurants at Jalan TAR, before making myself a regular at the nasi kandar place in Puchong. 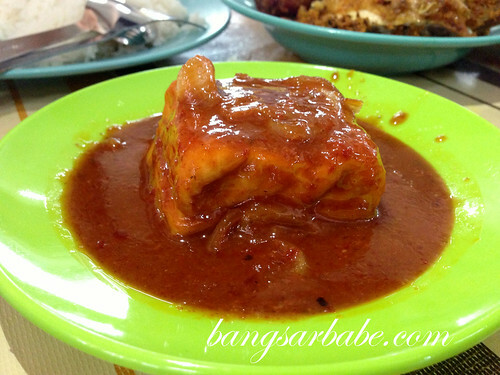 While the nasi kandar is pretty good, the distance is quite a put-off. 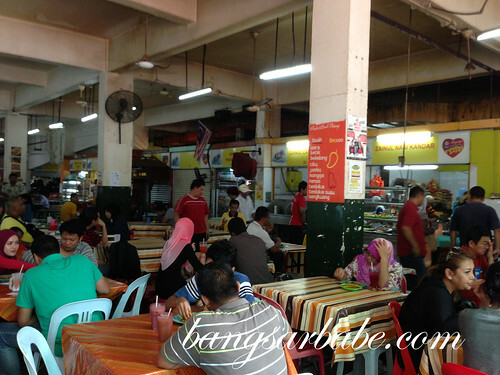 Zainul Nasi Kandar in PJ New Town is said to be good. 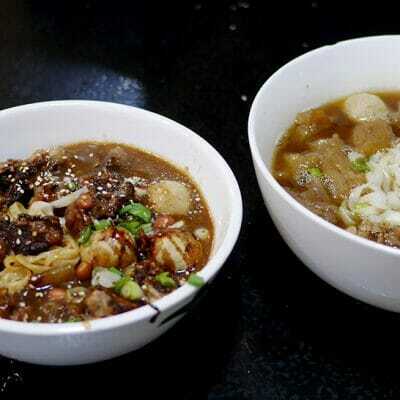 The stall, located inside the Pusat Penjaja MBPJ Building is often packed with customers from all walks of life. We were slightly late that afternoon, and didn’t manage to get any sotong goreng. 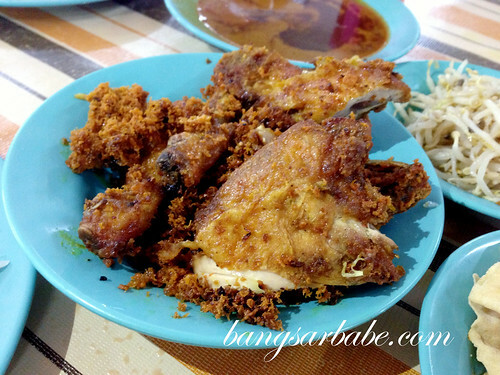 Between rif, dad in-law and myself, we shared two fried chicken legs (RM7 each), tofu (RM1), beef mutton curry (RM5), papadam and a plate of beansprouts (RM3). I also asked for a plate of mixed curries to ‘banjir’ my nasi kandar. The fried chicken was pretty tasty. I liked the fried batter bits (kerak) which added a crunch to the rice. That said, I would have preferred the chicken to be freshly fried. It was still hot, but not piping hot from the fryer. 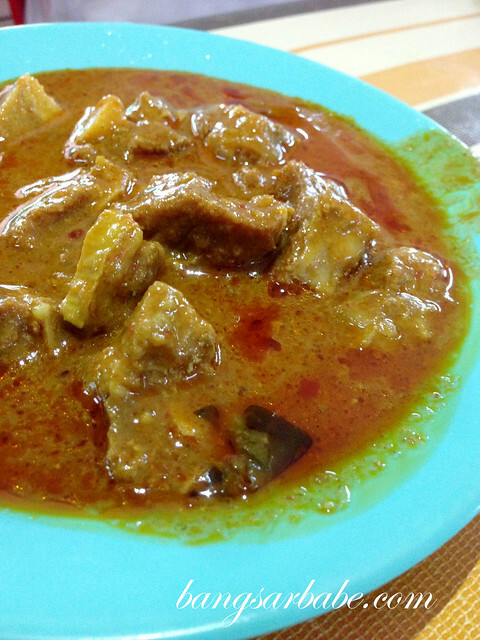 The mutton curry was good stuff. Cooked till tender, the gravy was well-spiced and packed a wallop of flavour. As such, the mutton pieces were also nicely seasoned. I found the tofu a tad too sweet and the beansprouts were nothing to shout about. But these didn’t bother me much as I was busy enjoying my rice with the delicious mixed curry gravies. 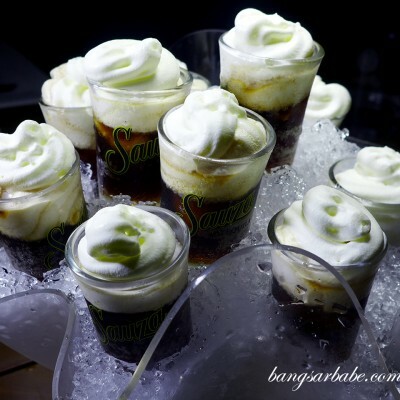 Banyak oomph! Mix curries. That’s how I roll! 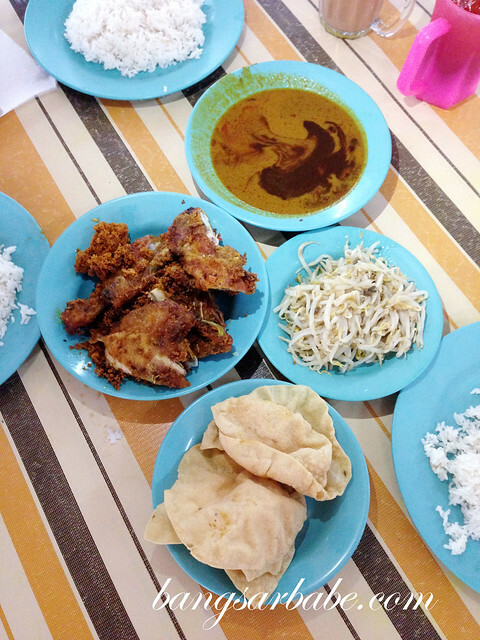 Lunch came up to slightly over RM30 for all the above. I thought it was pretty decent and would definitely come back. 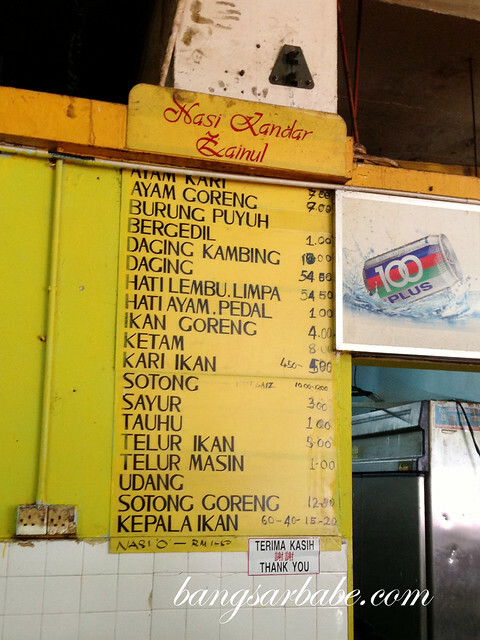 Next time, I’ll get there before noon so I don’t miss out on the fried sotong and telur ikan! Verdict: Pretty good variety and the curries pack a punch! Click on the image or (this link) to vote. Thank you, terima kasih, xie xie, nanri! Hope you win the Blog award, I need a good fix of Malaysian food! Have a good week. voted for u!always love your blog!true, honest and of course,yummy!